Last month, I had the pleasure of attending the Lucky Magazine + Jane Iredale beauty brunch alongside other fabulous bloggers. Jane mentioned her absolute favorite product was the lash conditioner, so I was thrilled to have the opportunity to try it out in addition to the black liquid eyeliner. The liquid eyeliner's brush is thin which makes it easier to make more precise strokes - perfect for creating fine/tight lines. It lasted me for a long time (all day, actually!) without smudging. What's great about it is that it's highly pigmented so you don't need to use a lot and it includes essential oils to help nourish the skin and prevent drying. So, I admit, I was one of those girls who just pretty much ignored doing anything to my eyelashes - mostly because I have short, straight ones (though, I did apply mascara from time to time). After having a conversation with a make up artist, she revealed that many people do neglect their lashes, but it really does complete the whole look. I've started using mascara more since then and has become part of my normal beauty routine. This lash conditioner is definitely a must-have. It is used as a primer for your lashes and you don't even need to apply a lot of mascara after (which gives you more bang for your buck!). You can even use it alone since it also helps lengthen and condition lashes. 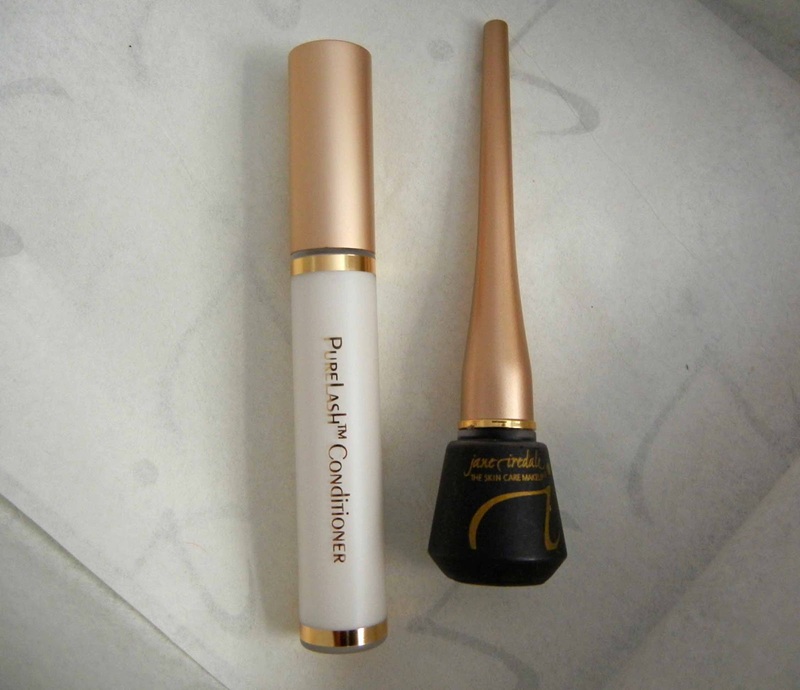 You can find more amazing beauty products from Jane Iredale here. *Products have been sent for review. Opinions stated are solely mine. so good to know! thx for sharing! Love this & her! What a sweetheart putting the lavender in the box. I love that. Sounds like a great product, especially since I'm pretty much the same as you, although I don't wear mascara unless I'm not wearing eyeliner/kohl. I’ll definitely check out the conditioner! Thanks for sharing, babe! It sounds really good! I know I neglect mine. HaHaHa Great review. I already have long eyelashes, so putting mascara on actually makes them too long and scary. Lol. But I love the idea of lash conditioner to make them shiny and healthier. And that eyeliner sounds great. I love thin brushes! Too bad I cannot find them in Argentina, I'm in need of a lash conditioner.